THIS SUNDAY we welcome the incredible Chef Ben Vaughn alongside Chef John Courtney as they set out to make your taste buds dance with our second ever SUNDAY BRUNCH! Check out the attached menu (try not to drool), as we welcome meat eaters and vegans alike! 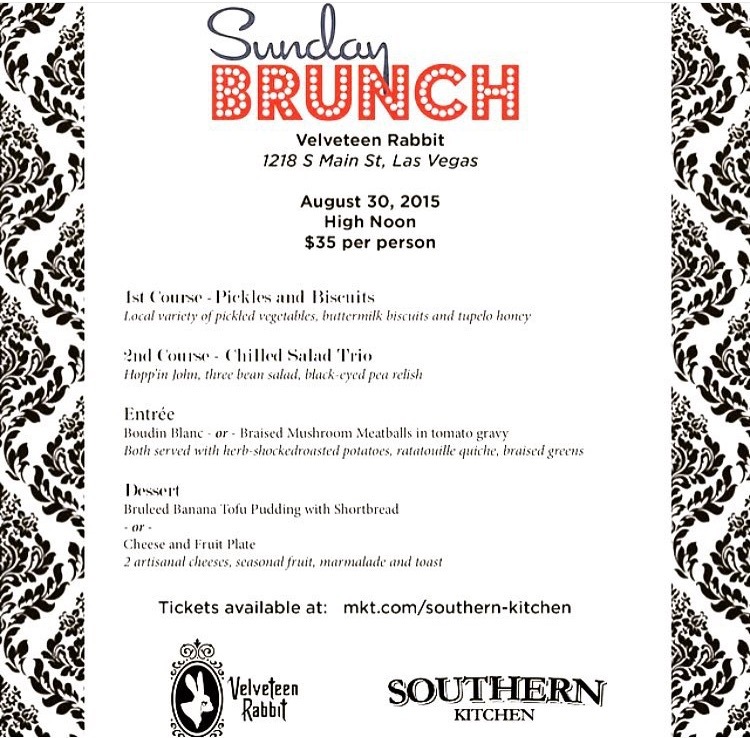 Las Vegas, you are in for a treat….this is southern food like you’ve never had before!